In this third post in our series addressing the experience of precarity amongst French historians in the early stages of their careers, we look at the issue of teaching. On the whole, our respondents indicated that they enjoy educating the next generation of historians and students of the Francophone world. But it does seem that teaching is becoming a particularly contentious ball in the early-career juggling act. The combination of low pay, isolation, overwork and pressure to perform that many of us tolerate as standard often appears absurd to our family and friends in other walks of life. This combination can, indeed, leave us feeling as though we’re not only performing a juggling act, but are also doing so unicycling on a tightrope, blindfolded, over a pool of hungry sharks. This may seem like a rather dramatic analogy. But as the last post in this series made clear, some of the difficulties experienced by our respondents – particularly as regards to pay, work-related health problems, and simply having a roof over one’s head and a community to live amongst – are truly existential. Many postdoctoral workers and PhD students on temporary, hourly-paid and fractional teaching contracts are not being paid enough to live on: often far less than the £9000+ per year paid in tuition fees by their students. And, much as teaching can be truly rewarding and exciting, the responses to our survey raise the question of the extent to which departments and universities take advantage of the enthusiasm and energy of “younger” colleagues when it comes to teaching. Are we being left drained and cynical as well as skint? And what is the impact of this upon our students’ learning? In what follows, we relate how our respondents described tackling the challenges of teaching in the UK university in 2017. 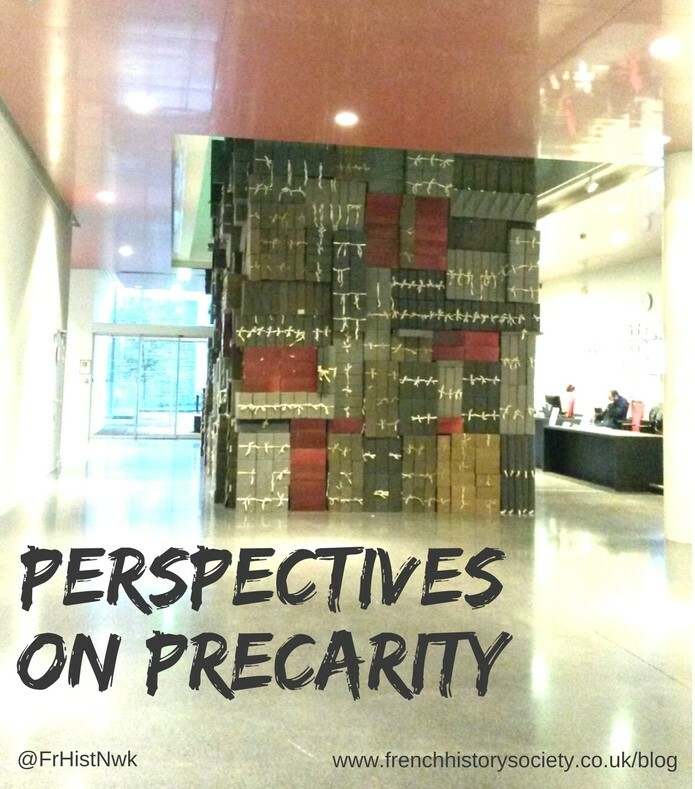 What is the impact of precarity on teaching and learning – and on teachers themselves? As well as the big issues, we look at some more specific questions, on which opinion proved more variable. Do we feel supported or ignored by our departments and colleagues, and why? Are we more likely to have to teach outside of our research specialism than more established colleagues, and if so, to what extent are we – and the students – OK with this? Is energy being wasted on duplicating preparation for the same courses as they are taught by different people, year after year, and are there issues of copyright and intellectual property of which we should be aware? What of the TEF? We round off the post by recounting some of the ways in which our respondents are already dealing with the demands placed on them. What more can we do, and what more can we demand? Other responses indicate that unemployment – whether during three months in the summer (a quarter of the year!) or indefinitely, whilst seeking the next position – is a condition common to the holder of a History or a French PhD. A teaching-only contract is usually synonymous with a temporary contract, and not knowing what comes next nor where the next pay cheque is coming from was – as we explored in the last post – is a great cause of stress amongst respondents. All respondents had taught outside their research specialisms, but we detected mixed feelings about this. For some, it represented an opportunity “to think in broader terms and understand bigger processes that affect my special field”. But most felt positively about the practice only to the extent that their financial position left them stable enough to absorb extra work. “The first time, I massively over-prepared. It helped, but would be unsustainable in the future (at the time it was part-time teaching whilst on a funded PhD, so I was not completely relying on that money to survive).” Efficiency in planning and teaching was found to come only with significant “experience”, and so “help from wonderful colleagues” was considered to be all the more crucial, particularly at first. There was praise for the module leader who “was incredibly organised and helpful to (those) teaching the seminars, literally giving them lesson plans that covered everything… Without that support, I’d have been in trouble”. On the other hand, almost all respondents described teaching outside their specialism in terms of being “stressful” and taking “a lot of extra preparation and reading”, something which was generally found to leave (even) less time for research. Respondents were likely to be covering courses that an academic in a permanent position was able to create to correspond to his or her own specialism. When ECRs are offered the ‘opportunity’ to create their own course, it is all too often – as Harry Stopes’ piece for the LRB blog pointed out – in their own time, and at their own expense. Precariously-employed university teachers are subsidising the very institutions that refuse to provide them with stable work. On the positive side, our respondents had plenty of tips and advice for others in similar situations. These boiled down to two things: first, “strategic teaching planning (i.e. identifying key books, key questions)” ; second, asking for help. “Ask colleagues for advice and resources”, suggested one respondent, who also gave a timely reminder to ECRs that they can and must have confidence in themselves and their ability to apply the knowledge and skills from their research to other situations. “I remember that I have a PhD, a solid and wide knowledge base and excellent research skills and therefore can teach pretty much any aspect of literature. Also I’m no longer afraid to say ‘I don’t know’ and turn a situation into an opportunity for students to find answers themselves from reputable sources.” Instead of accepting to be overworked, can we cultivate, harness and deploy this kind of (merited) self-esteem and confidence in order to demand better conditions for ourselves? How, finally, can we gauge the impact of university teachers’ precarity on students and their learning? We welcome your ideas below, or via #FHNPrecarity on Twitter.